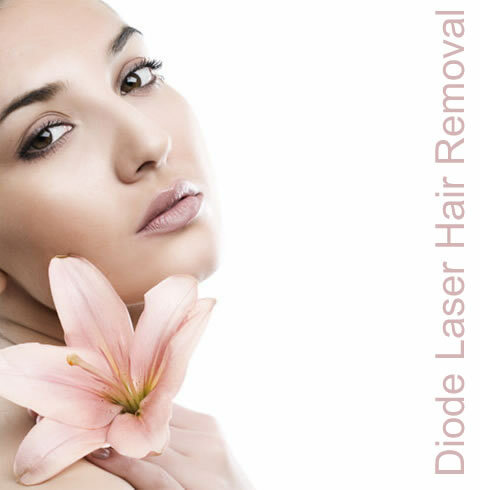 The laser has the greatest effect on growing hairs, designed for long term hair reduction. As not all hairs are growing at the same time, it takes a number of treatments to gain control of the area. 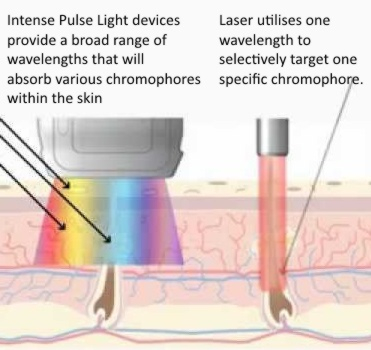 Razorlase Diode system uses state-of-the-art 808nm diode laser technology that has become the preferred method for photo epilation and the industry's 'Gold Standard'. Reviewed articles confirm the superior efficacy, safety, comfort and high patient satisfaction achieved with this technology. 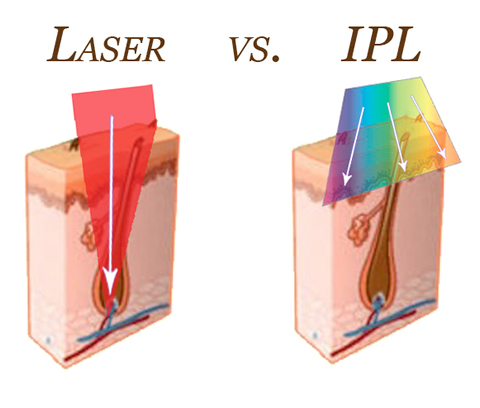 Compared to IPL, Diode laser gives a faster and gentle hair removal treatment with the concept of continuous mode. IPL works both on Hair removal & Skin rejuvenation and other problem areas, giving both great results because of its IPL technology with variable wave length.